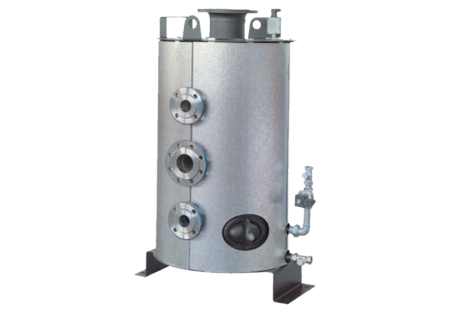 The purpose of the blow-down, expansion and cooling module BEM is the recovery of all hot waste water of a steam boiler system. This waste water is collected, expanded and cooled down to the permitted, set discharge temperature in the module. 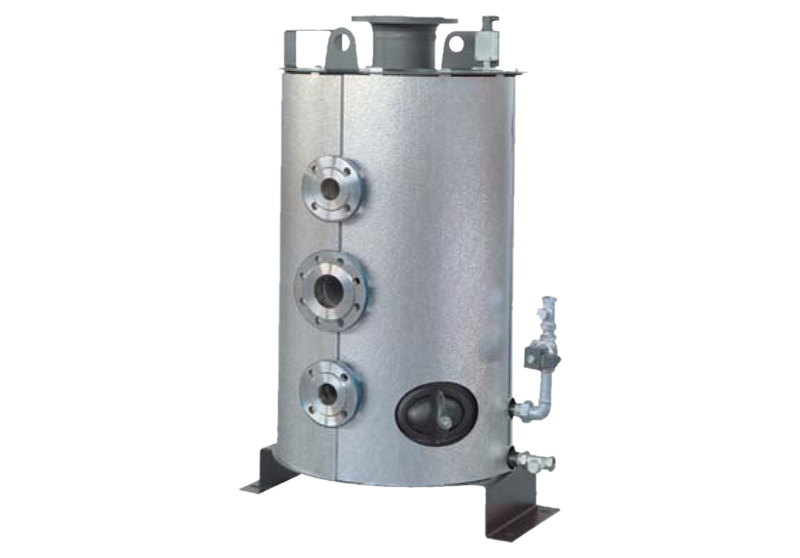 The module is designed for multi-boiler systems with a max. of 3 steam boilers. A closed, upright container mounted on a support structure, with various feed and drain connections. The lower half of the module is filled with water during operation, the upper half is expansion space. The prevailing media temperature is recorded and converted to an electrical signal with the temperature measuring transducer in the lower part of the module. 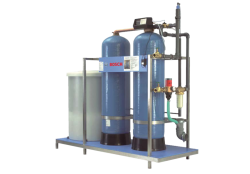 Mixed cooling is achieved by the supply of cold, softened make-up water and the waste water is safely drained off when the permitted discharge temperature is reached. 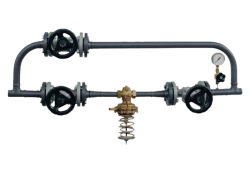 The discharge temperature can be controlled by the control system of the water service module. 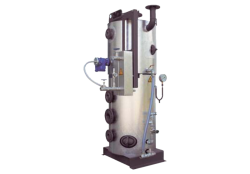 The module comprises a vertical cylinder sealed off with blank plates at both ends and all around with protection against contact. It is offered fully assembled ex works with all necessary fittings and thermally insulated.